Whether you’re a salon/spa owner or a self-employed ‘work from home’ beauty therapist, you can’t just rely on returning customers and great word-of-mouth to keep your business on course. Online reviews are becoming increasingly more important and more influential. In fact, a 2014 survey conducted by the search agency BrightLocal discovered that 88% of consumers trust online reviews as much as personal recommendations and 57% of consumers will visit a local business website after reading a positive review. That’s powerful information to be aware of and even more reason why having a website (or at least a social media presence) is vital if your salon is going to be successful. We all know we live in an increasingly more online world, but did you know that more and more people are making their consumer choices (like whether or not to use your salon) based upon the information they find on the web? The BrightLocal survey says that 31% of people search online for hair and beauty businesses, which is only 4% less than the number of people who search online for a hotel, a doctor or a dentist. If they can’t find reviews about your salon that’s a lot of potential business you could be losing. So how can you make online reviews work for you? It’s not hard to encourage customers to give you a positive online review, especially if you’re delivering fabulous beauty treatments alongside fantastic customer service, but many of them won’t think about it unless you ask them to do it. That’s why it’s important not to be shy. If they’re happy with their treatment, ask them if they’ll be kind enough to put a small review up on your website, or even just mention you on Twitter or Facebook. It doesn’t have to be a paragraph of gushing praise (in fact, too much over-the-top praise can actually put some readers off), just a line or two mentioning they visited your salon and they’re delighted with the results. Failing that, maybe they could just give you a star rating? Whether they leave a full-on review or a quick ‘n easy 5/5 stars, it’s still a big endorsement for your business. Never offer bribes (aka “incentives”) to a customer in exchange for a review. Not only is it ethically a big no-no (and the reviews sites won’t like it if they ever find out) but it could potentially do your business a lot of damage if the truth was ever revealed. Besides, you want your reviews to reflect the great service you’re really providing. That way, you can think of every good review as a reward for a job that’s been very well done. But, having said that, there’s no harm in showing your appreciation to customers who review your business regularly. 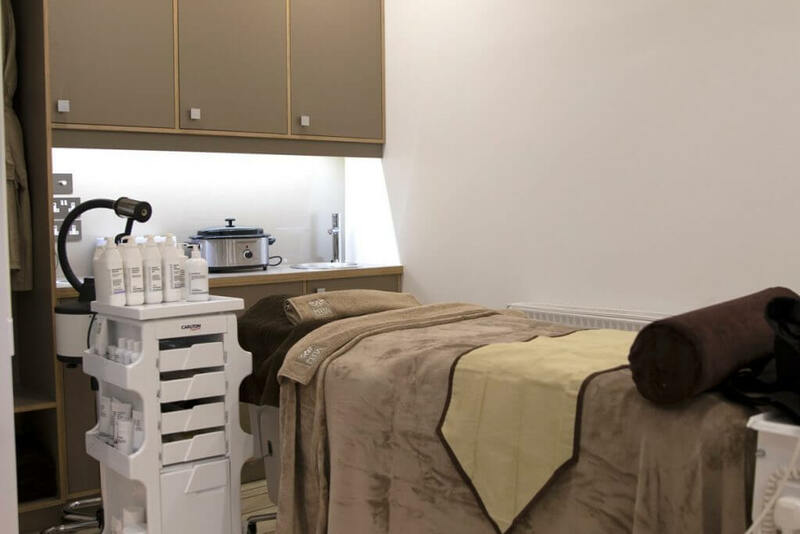 It doesn’t have to be anything big – maybe a complimentary upgrade on their next treatment or a discount voucher they could give to a friend (who might also give you their own great review!) – but saying thank you for the few minutes they took to support your business is hugely important… and it’ll help to keep their reviews coming! While a good review is working its magic online, it could also be working for you in many other ways: i.e. on brochures and publicity handouts or email marketing campaigns, although always check with the reviewer that it’s okay to include their name on any printed materials. And when a great review shows up on your website don’t forget to share it on your social media too. You never know where your next new customer might come from! You want the wider world to know about you, so don’t trust that they’ll just stumble across your website or Facebook page and all your problems will be solved. If you really want to get noticed – and get your business pushed up the local search rankings – ask your customers to post their review on sites like Google, Yelp and TripAdvisor. That way, people who currently know nothing about you will be more likely to find out who you are. Let’s face it, everybody has a bad day and sometimes – despite all your best efforts – the review a customer leaves won’t be as good as you’d like it to be. But, if you ever receive a bad review, there’s one positive thing you can do to stop it in its tracks: leave a reply, apologise if necessary, and reassure the customer (and all the other people who might be reading) that you take all complaints seriously and that you’ll do everything necessary to ensure it won’t happen again. And if the review/complaint is unfounded or rude and bad-tempered, take it offline as soon as you can. What you mustn’t do is leave a negative review unanswered or reply to it in a way that could make matters worse. Even if the review has stirred up your anger, always be as professional online as you would be in the salon. Remember: a negative review doesn’t have to be bad for business. Responding to a bad review thoughtfully and honestly not only demonstrates your excellent customer services skills, it might also impress other readers enough to actually make a booking because they’ll appreciate how honest and straight-forward you are. Like every other setback, always treat a bad review as something you can learn from. It’s time to show everybody how good you are, and online reviews are the best way to make that happen. You’ve got nothing to lose and everything to gain if you give it a try!